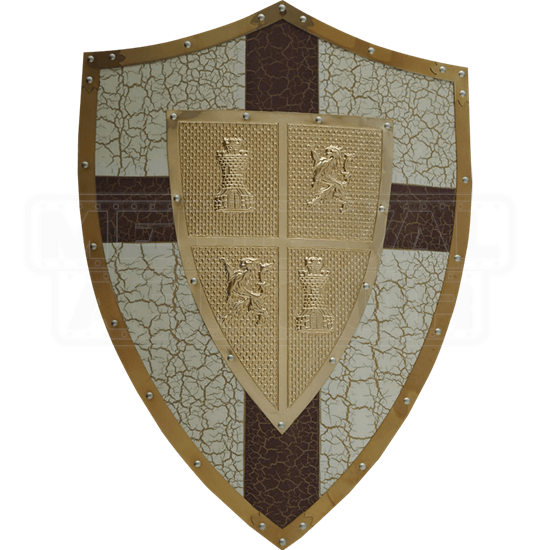 This El Cid Shield measures 24 inches high by 17.5 inches wide. 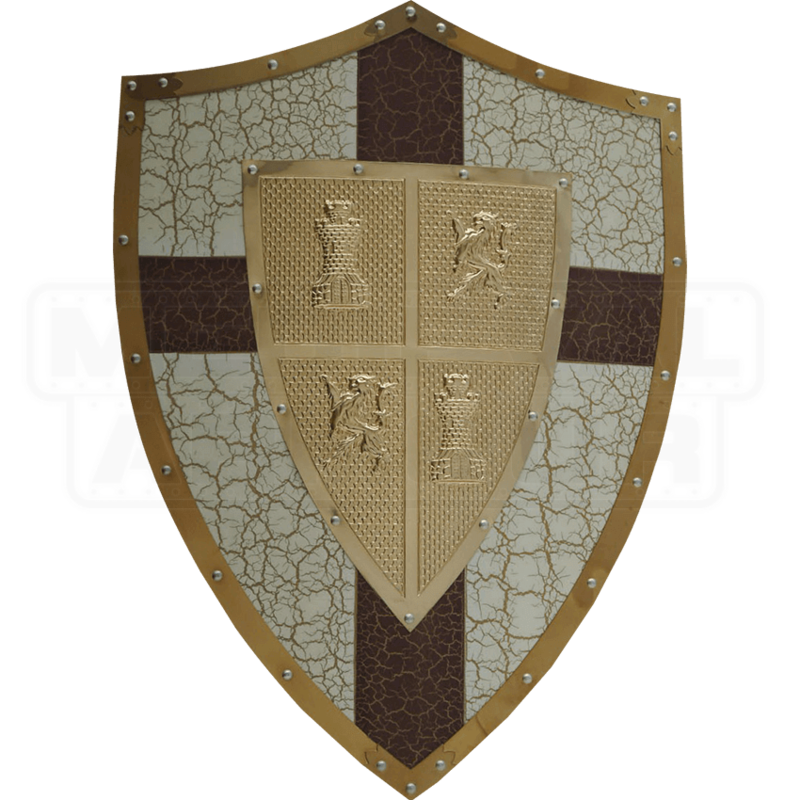 The El Cid shield is made of 20 gauge stainless steel and is antique crackle finished in off-white with a cross and brass center crest. The El Cid shield has an attached chain on the back for wall hanging.